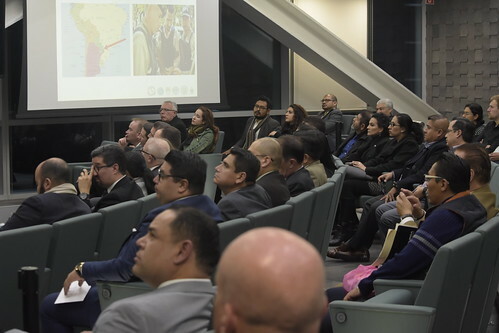 From November 11-15, 2018, a Perry Center team comprised of Director Lieutenant General (Ret.) 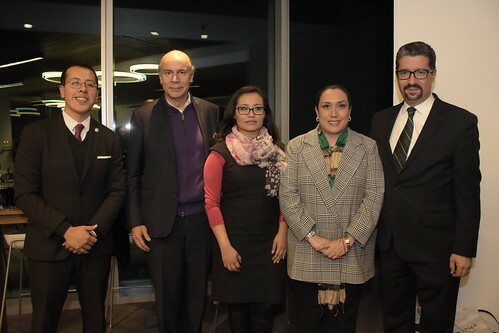 Frederick Rudesheim, Celina Realuyo, and Kara O’Ryan, conducted a bilateral engagement program with institutional counterparts in Mexico City. 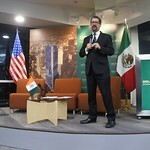 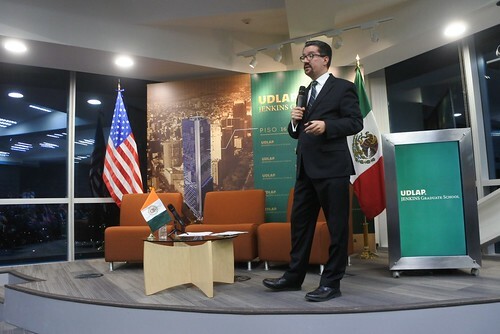 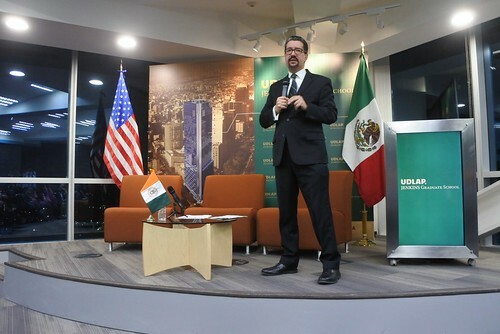 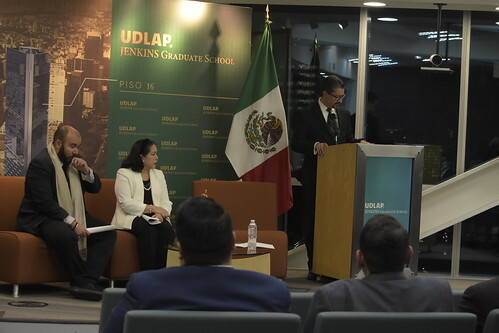 The week was filled with a series of institutional activities including the signing of a cooperation agreement with the Universidad de las Americas Puebla (UDLAP) at UDLAP’s Jenkins Graduate School in Mexico City. 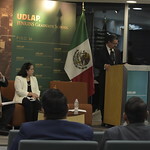 This signing ceremony marked the first such agreement between the Perry Center and a private university in Mexico. 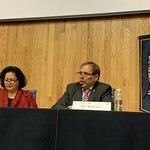 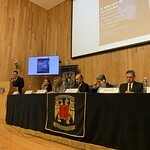 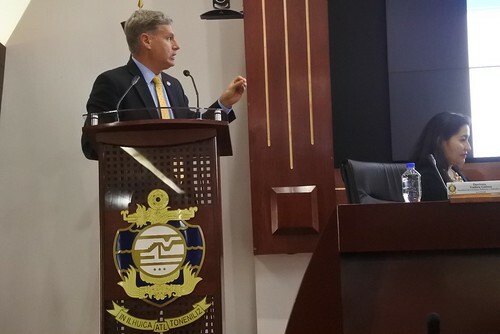 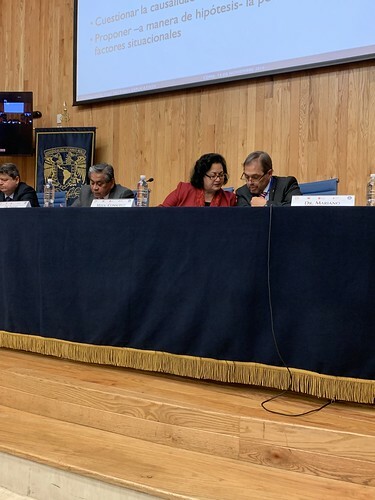 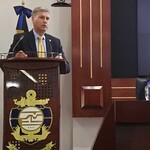 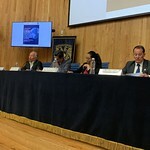 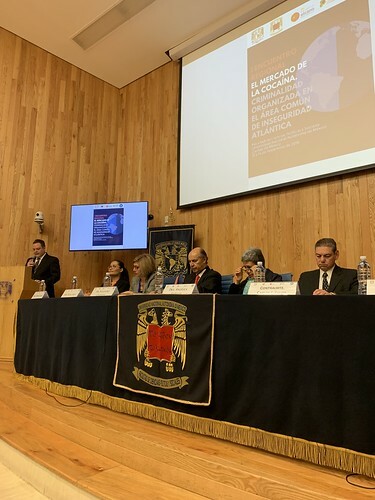 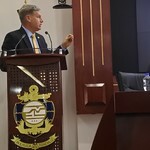 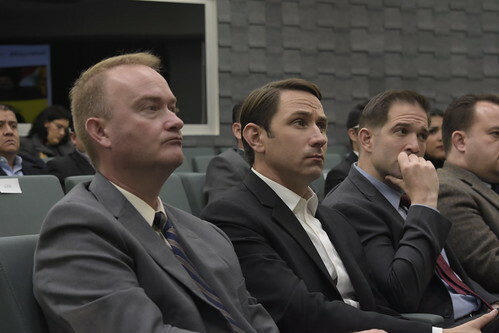 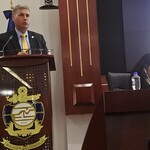 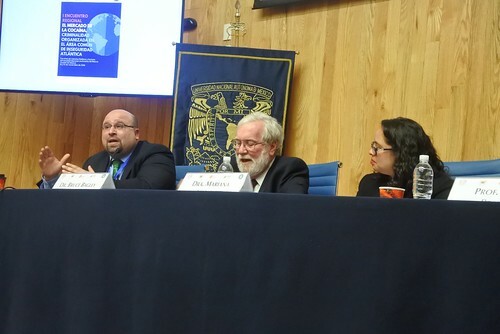 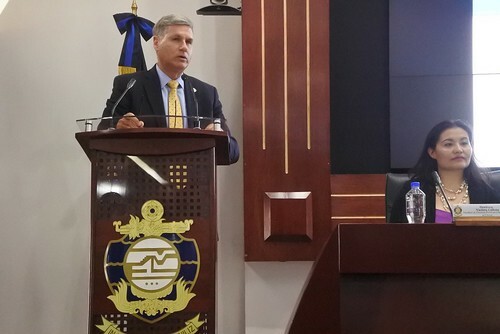 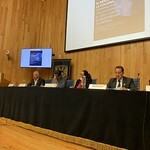 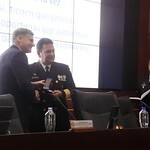 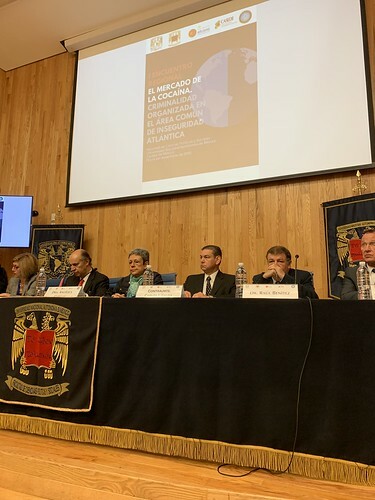 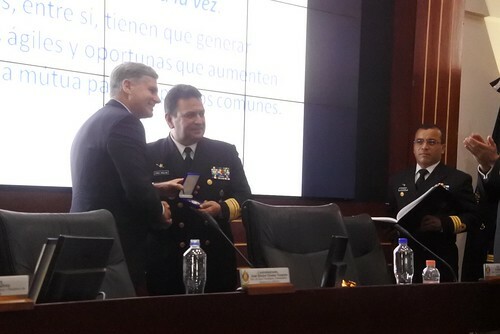 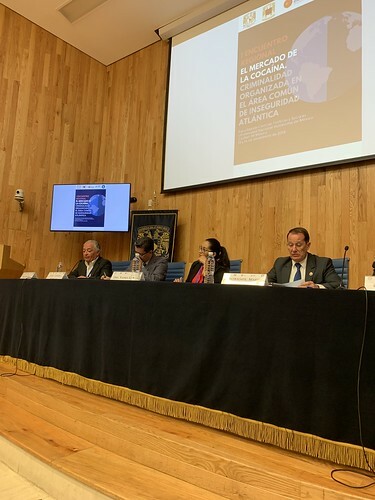 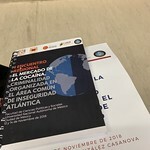 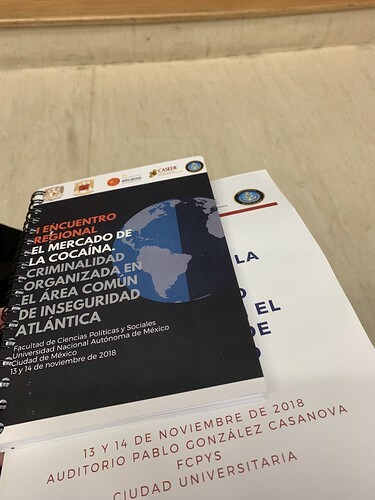 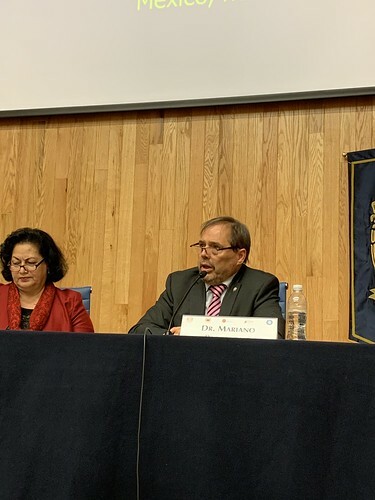 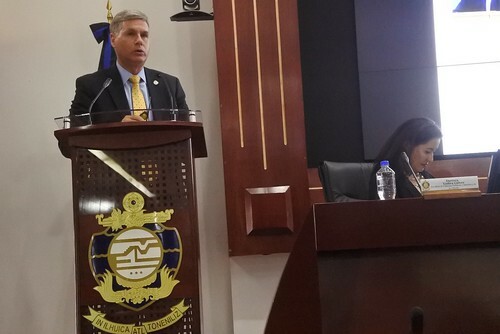 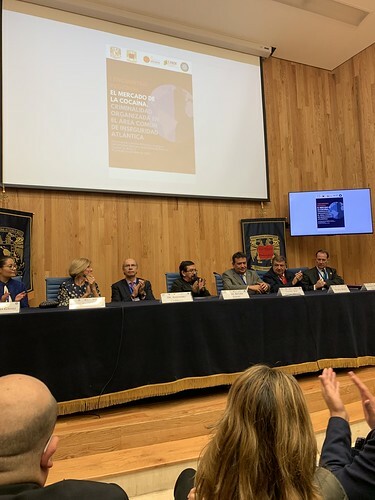 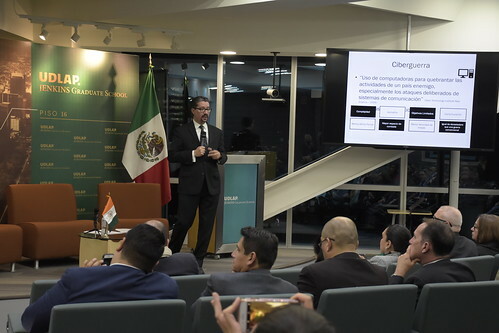 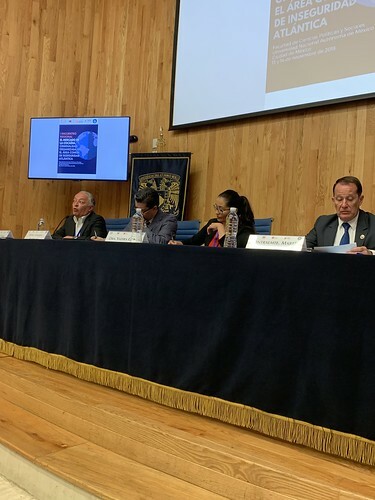 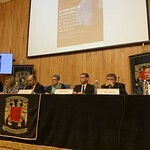 Director Rudesheim delivered the keynote address at the seminar "First Regional Meeting: The Cocaine Market and Organized Crime in the Common Areas of Atlantic Insecurity" hosted by UNAM, CASEDE, Elcano Royal Institute, and the Center for Superior Naval Studies (CESNAV). 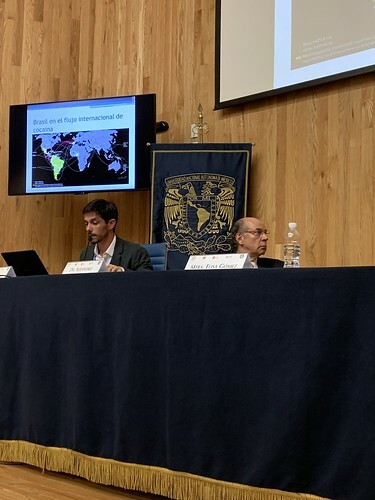 On the second day of the seminar, Professor Celina Realuyo presented on "US Strategies and Cooperation with Latin America regarding Illicit Networks." 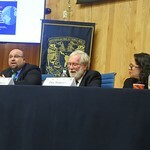 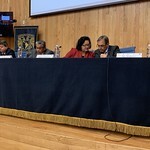 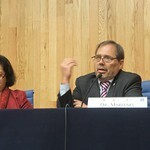 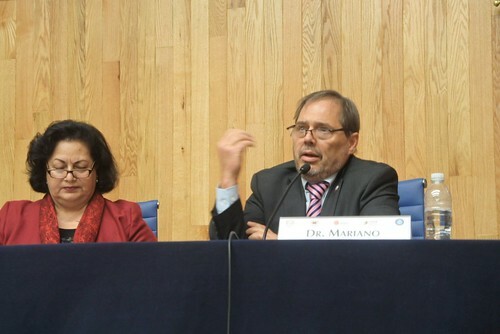 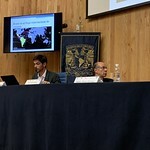 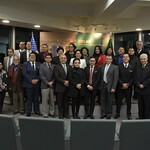 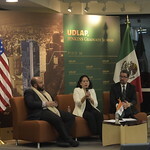 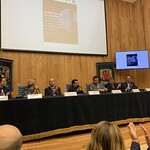 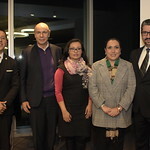 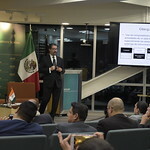 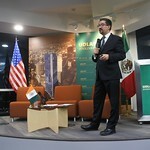 Eight Perry Center alumni from Mexico, Guatemala, Argentina, Peru, and Ecuador were panelists this international event, which had well over 200 participants and was livestreamed by UNAM (video recordings available here). 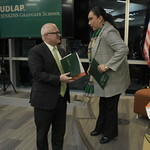 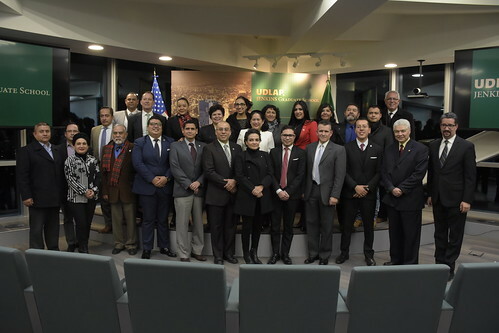 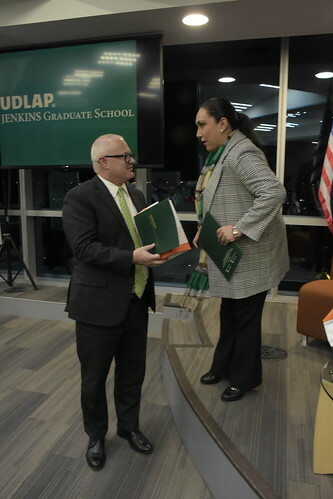 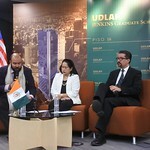 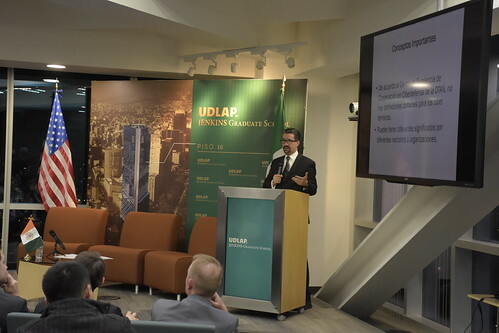 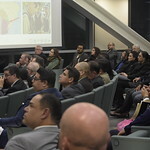 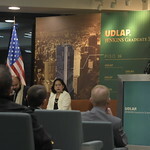 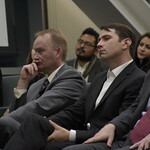 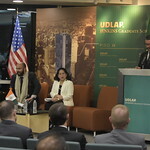 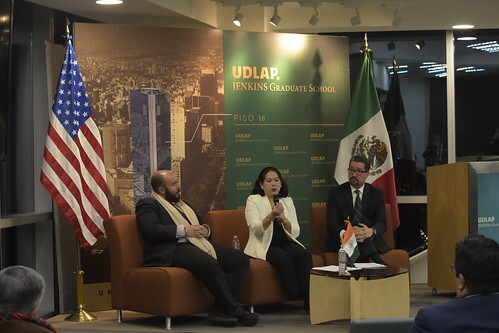 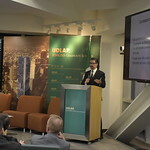 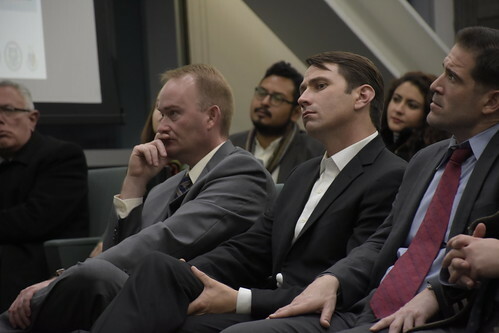 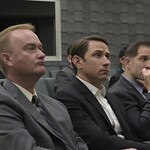 The week culminated with a transnational threats seminar and alumni networking event at the UDLAP Jenkins Graduate School with over 70 Perry Center graduates and institutional counterparts in attendance. 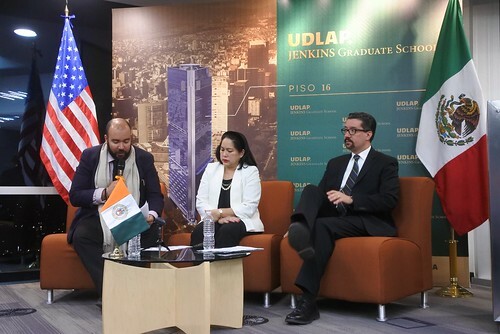 This bilateral engagement served to deepen the relationships with academic and government counterparts and the Perry Center alumni network.